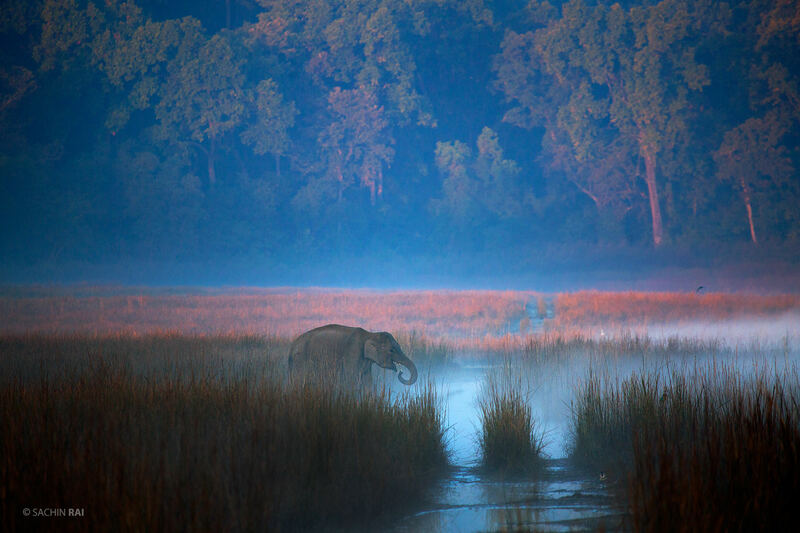 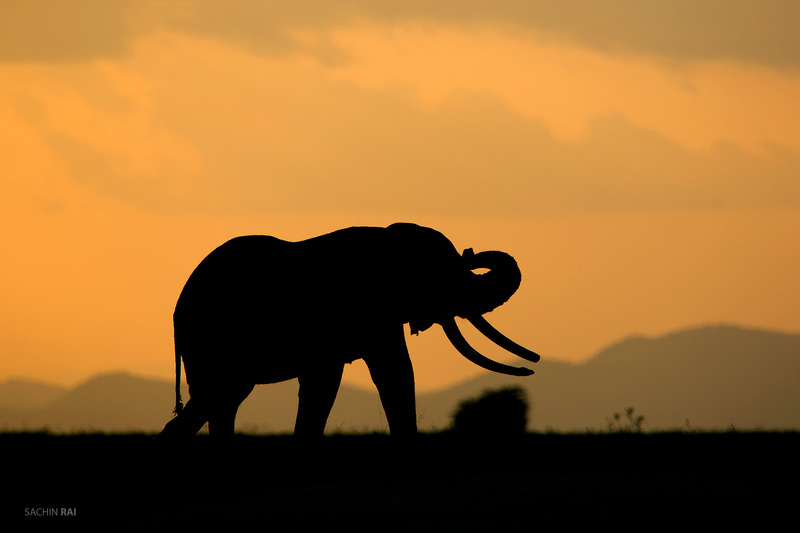 A young Asiatic elephant drinking in the misty grasslands of Dhikala, Corbett. 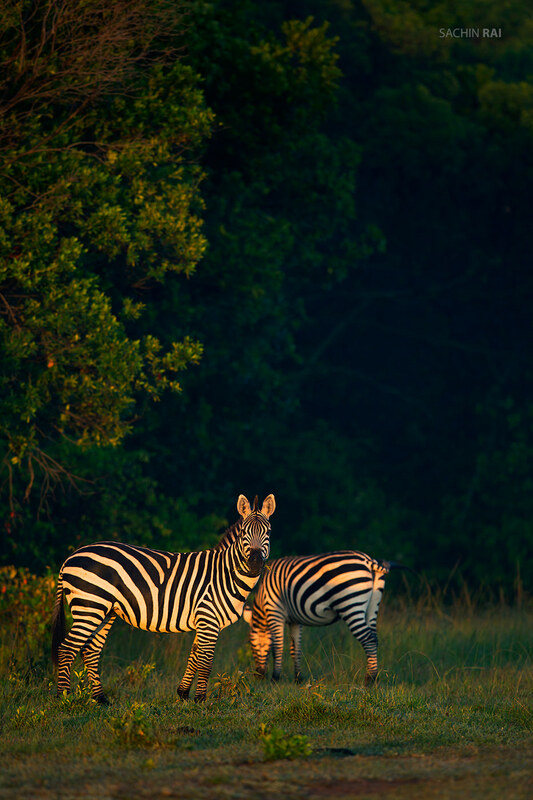 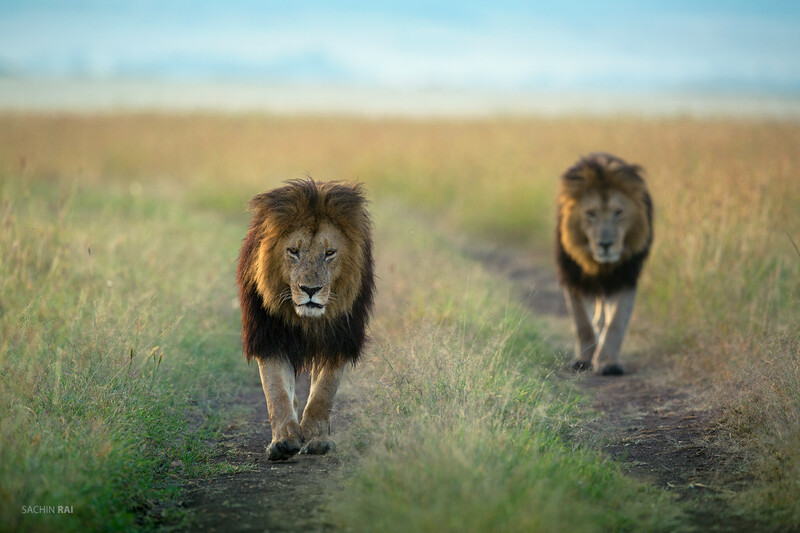 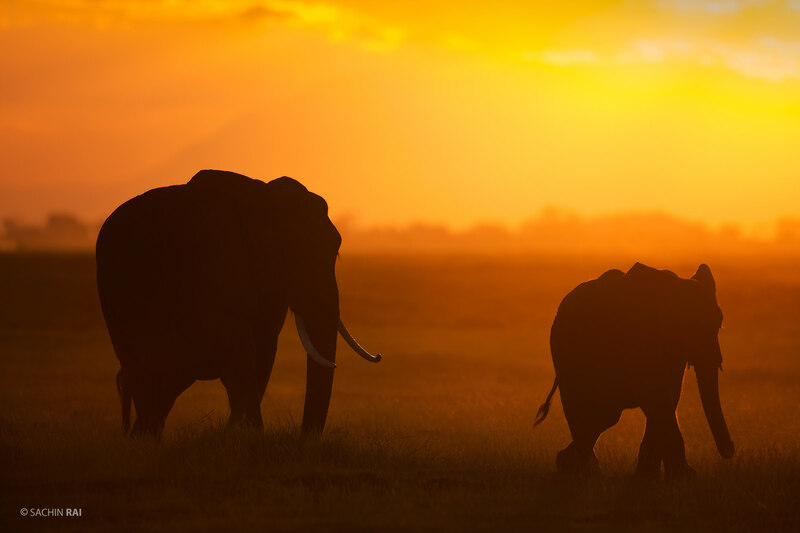 These two brothers, Blackie and Lipstick were on a morning stroll in Masai Mara. 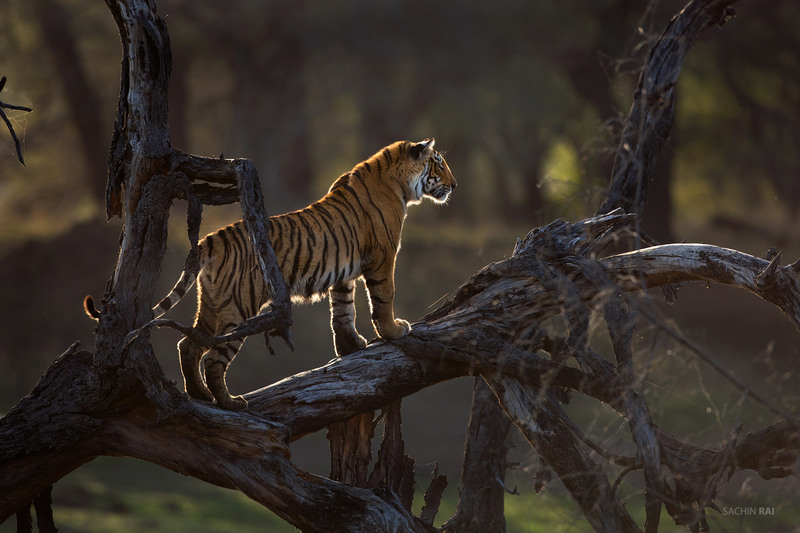 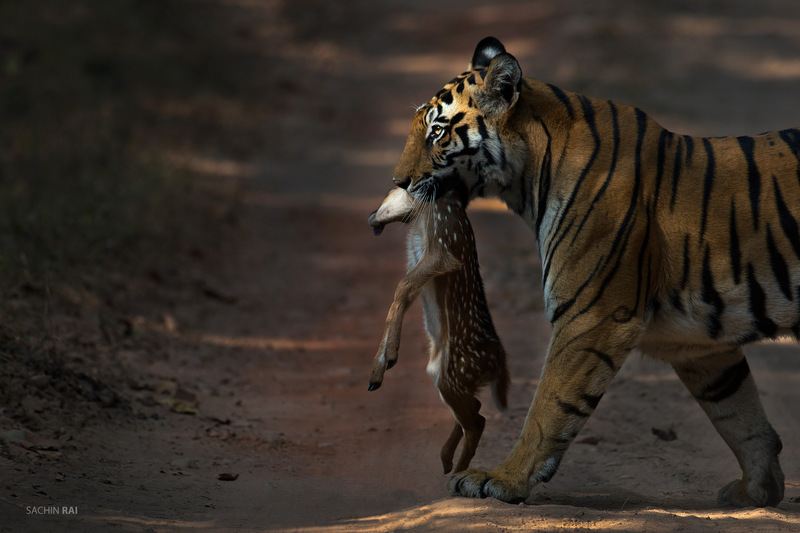 A tiger cub climbs a dead tree as the sun sets behind her in the horizon in Ranthambhore, India. 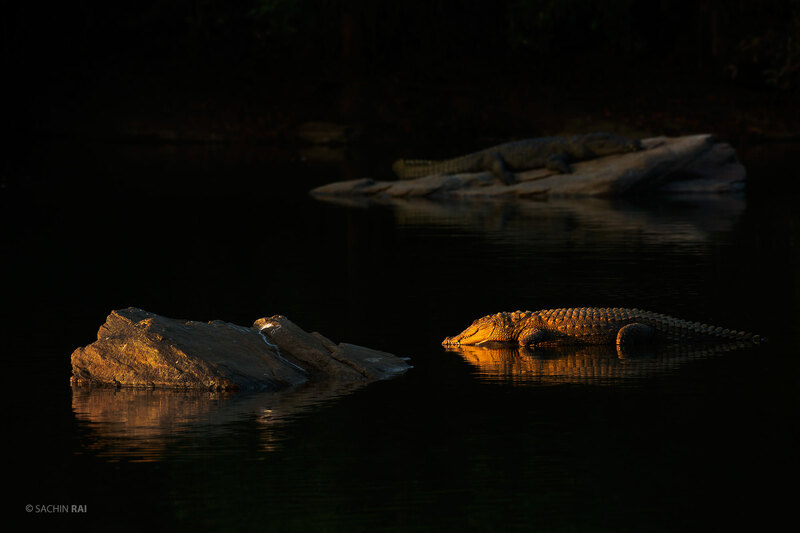 A marsh crocodile soaking in the last rays of sun in one of the rivers in south India. 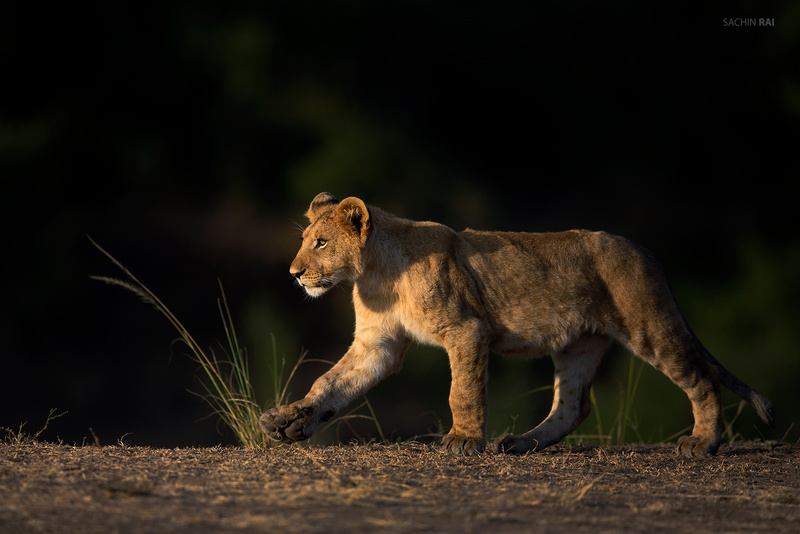 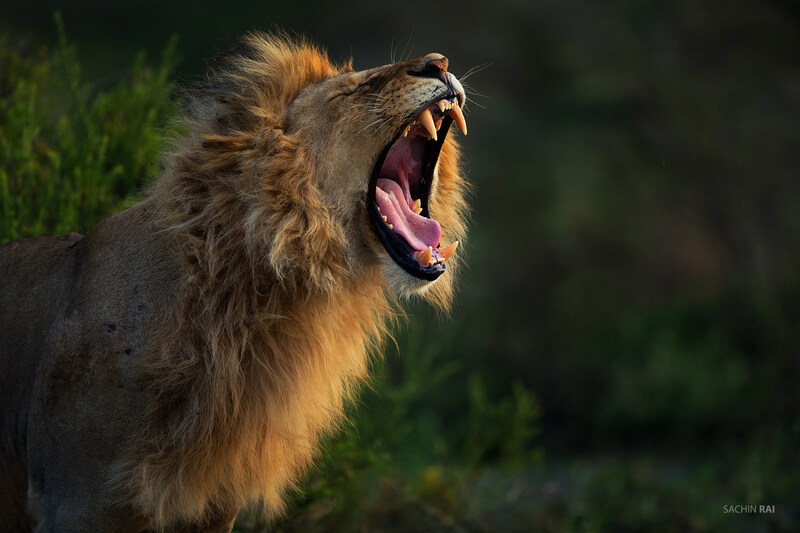 A young male lion yawning as the sun sets in Ndutu, Tanzania. 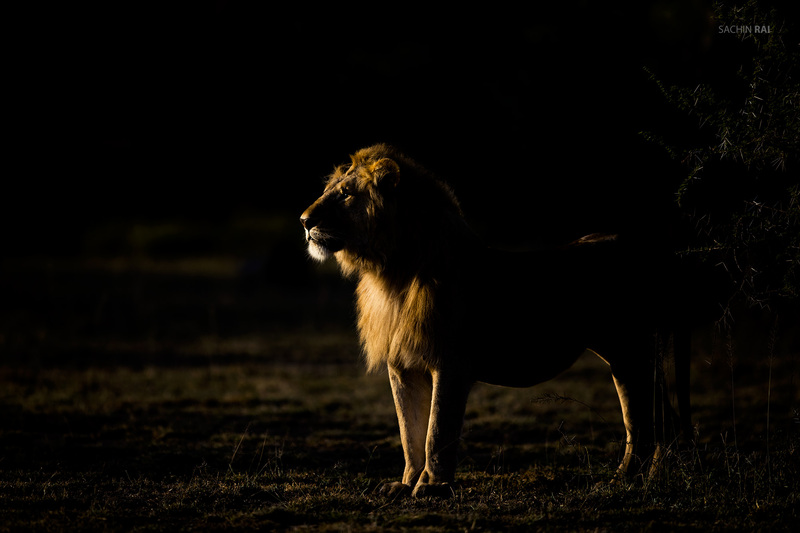 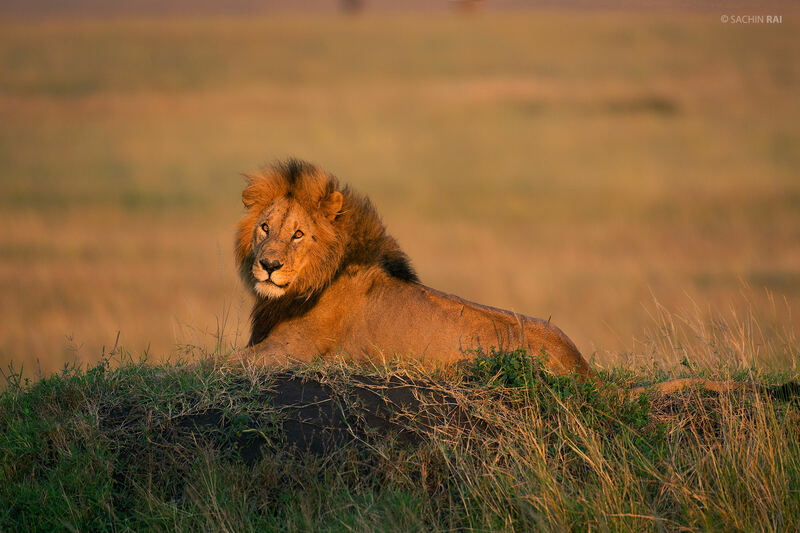 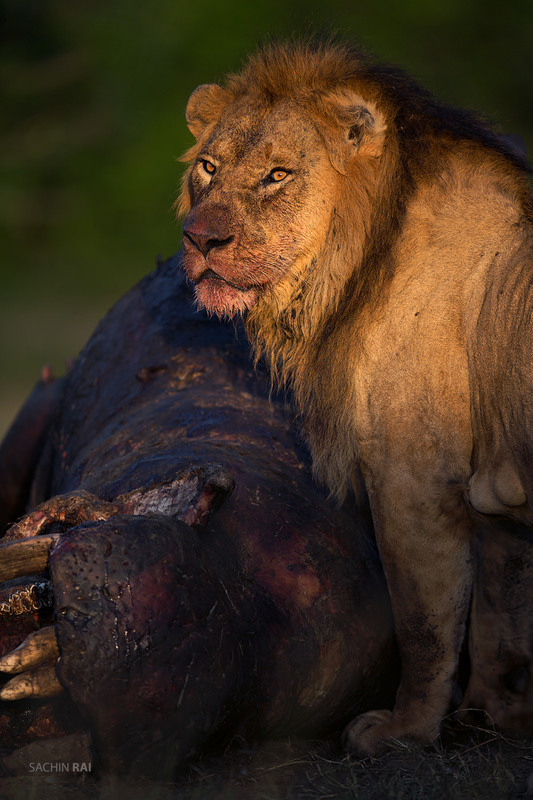 A beautiful African male lion sits on a mound as the early morning sun shines on him in Masai Mara, Kenya. 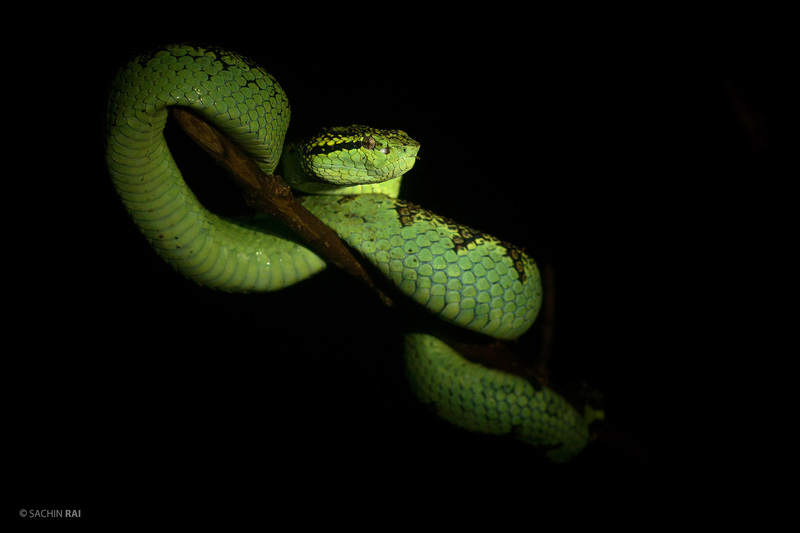 A Malabar pit viper in one of the coffee plantations in Coorg, Karnataka. 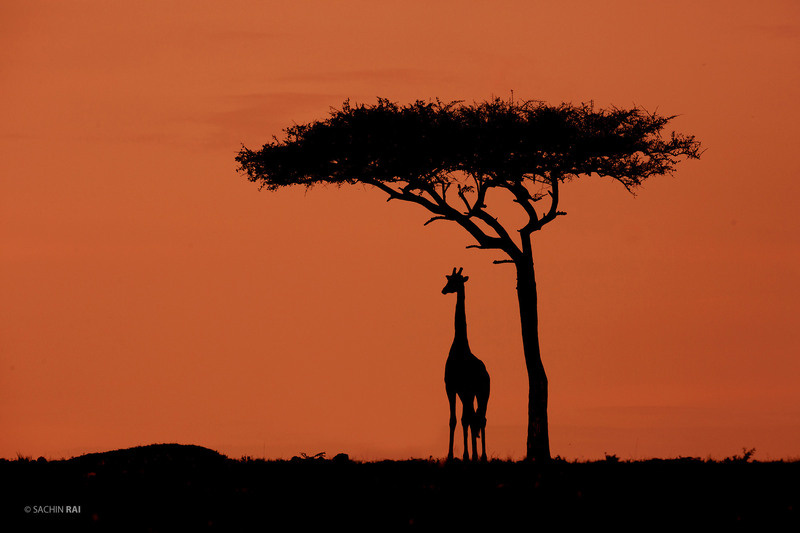 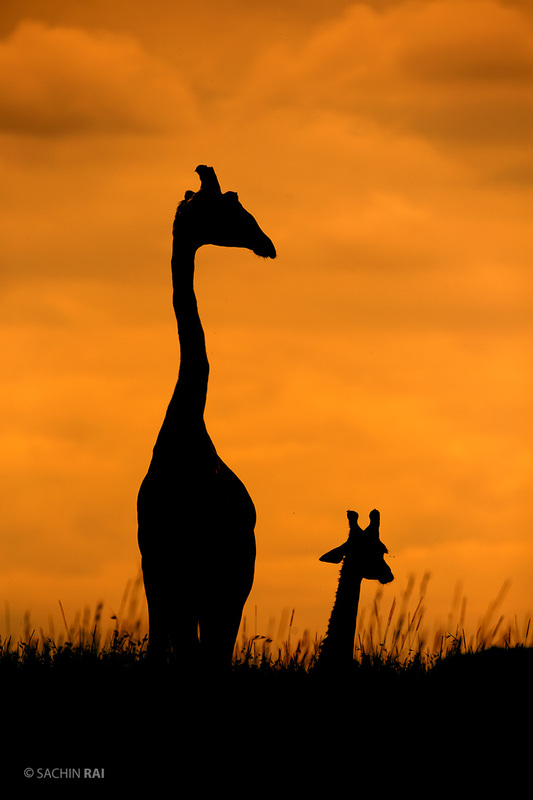 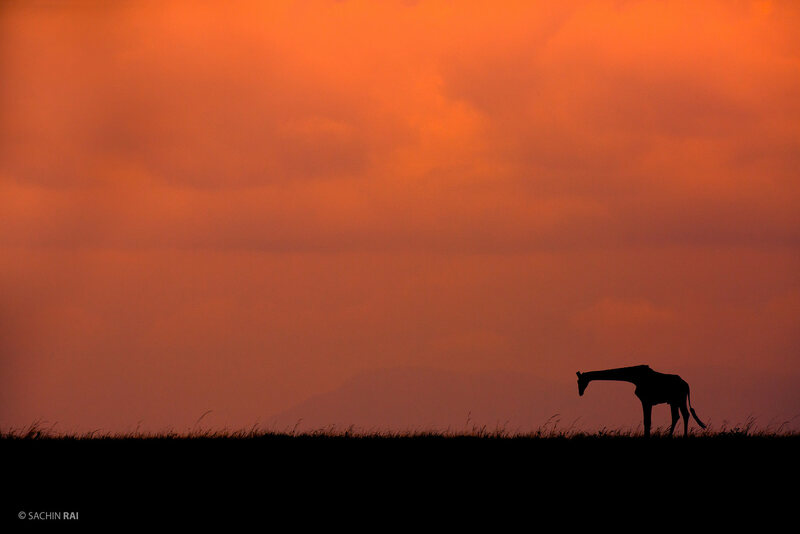 Looked like the Masai Giraffe was bowing to the mighty savannah of Masai Mara. 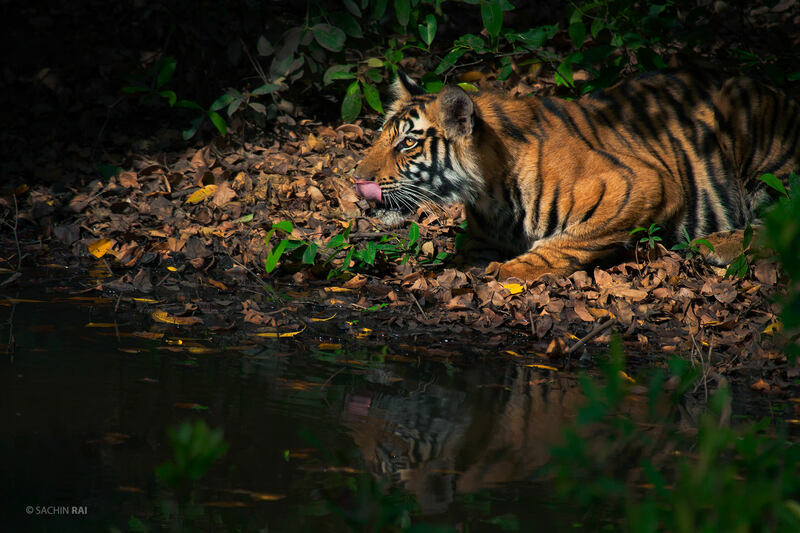 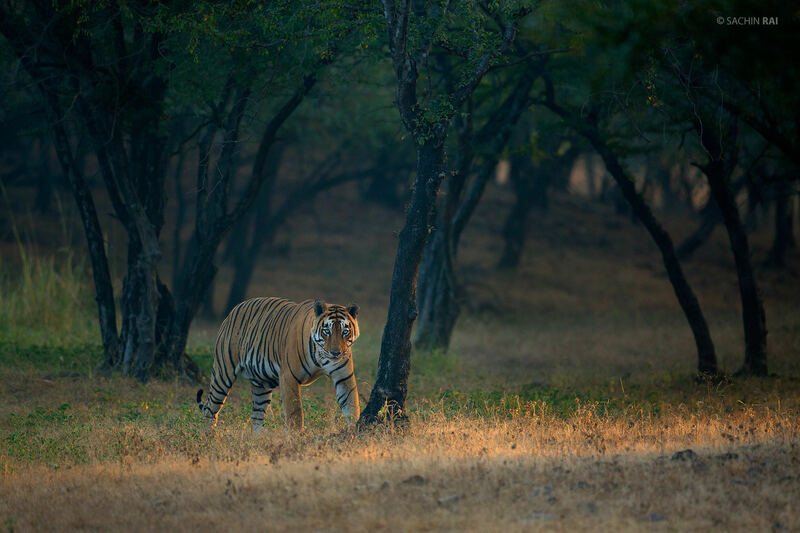 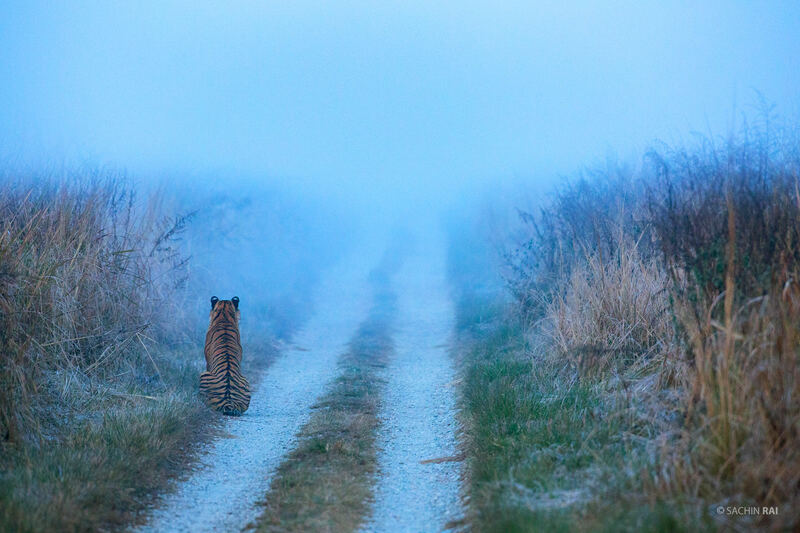 A male tiger in winter morning light in Ranthambhore, India. 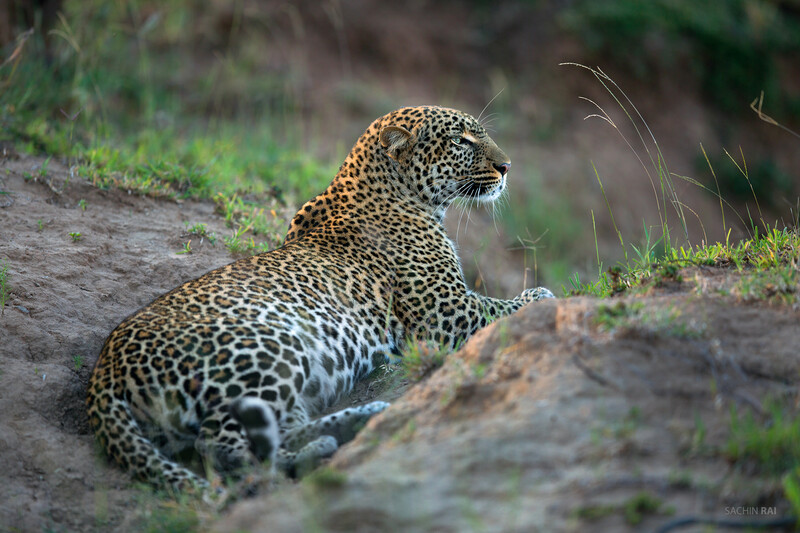 This leopard was sleeping there for sometime before she heard some Impala approaching her. 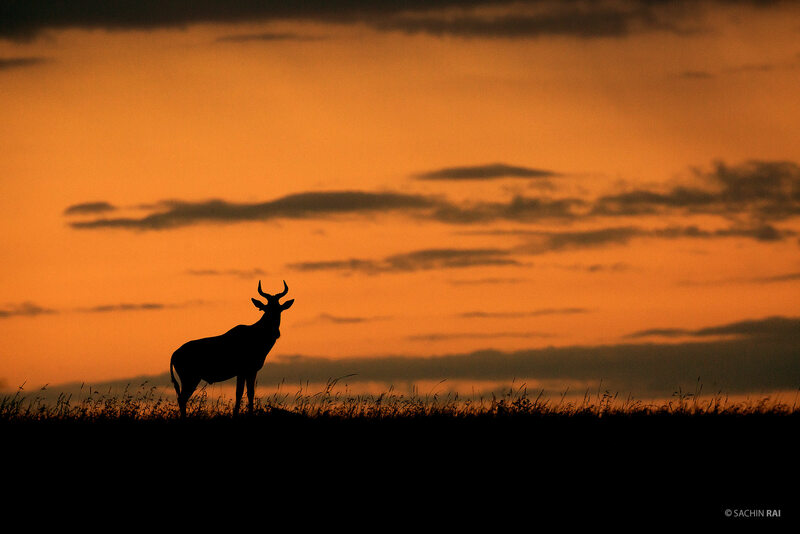 An Impala in the grasslands of Masai Mara. 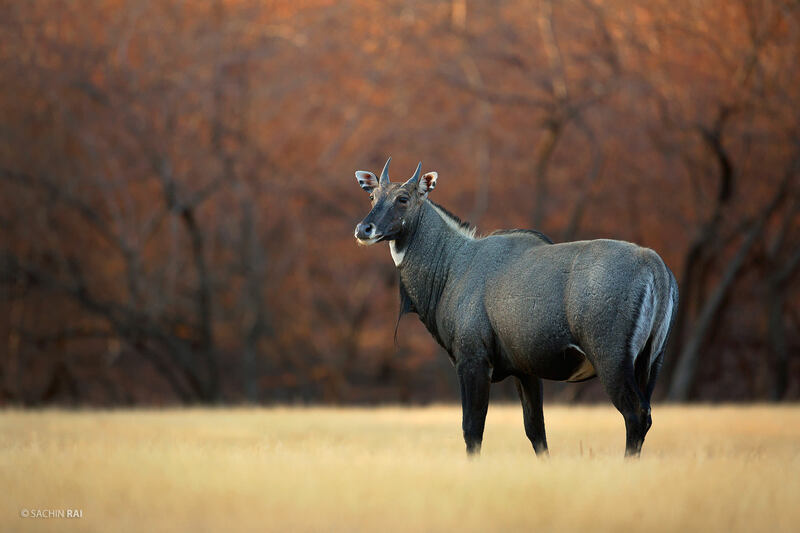 A male Nilgai from the arid forests of Ranthambhore, India. 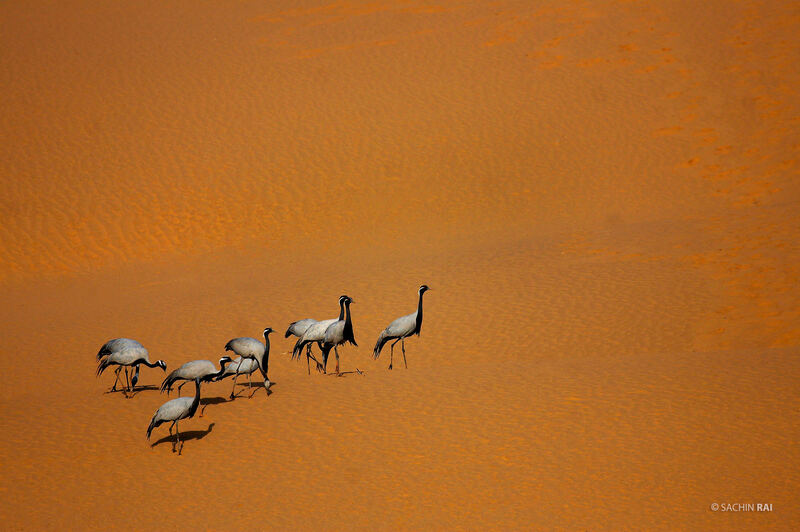 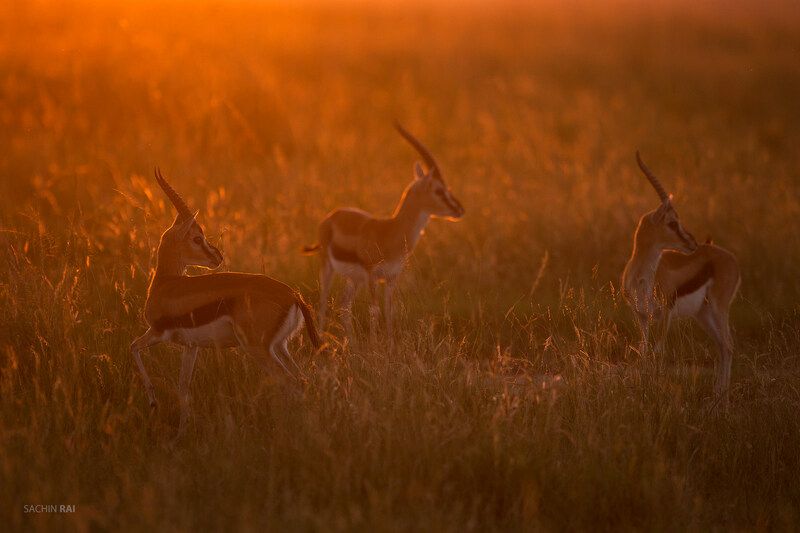 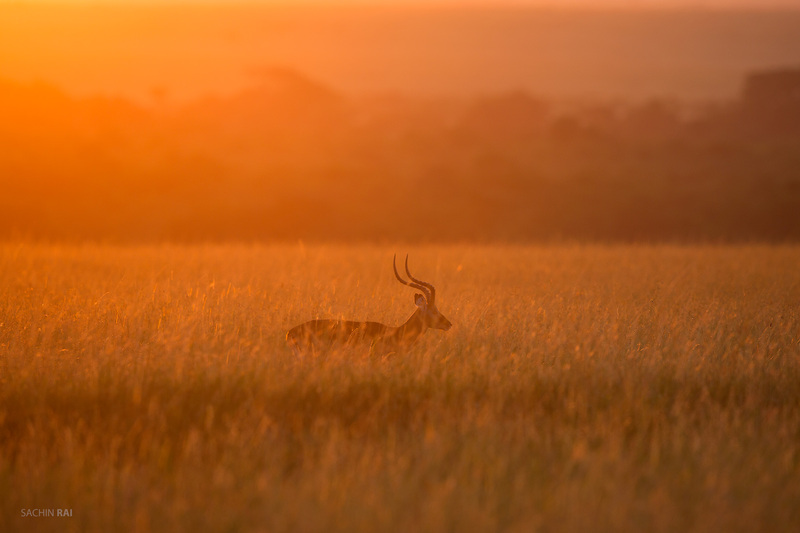 Thompson's Gazelle in golden light in Masai Mara. 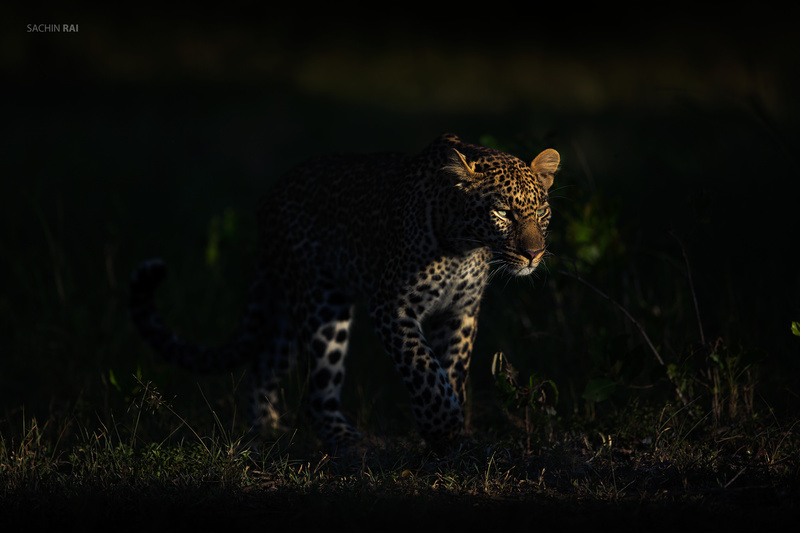 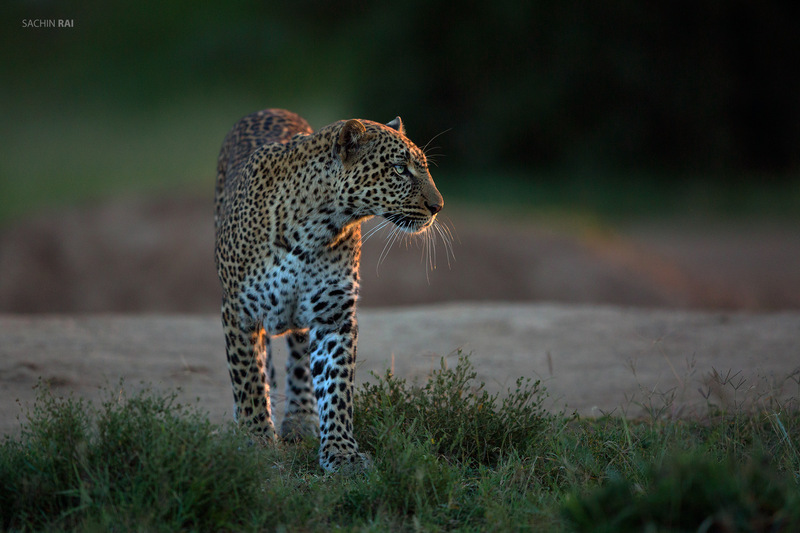 A leopard emerged from the bushes as the morning light lit up her face. 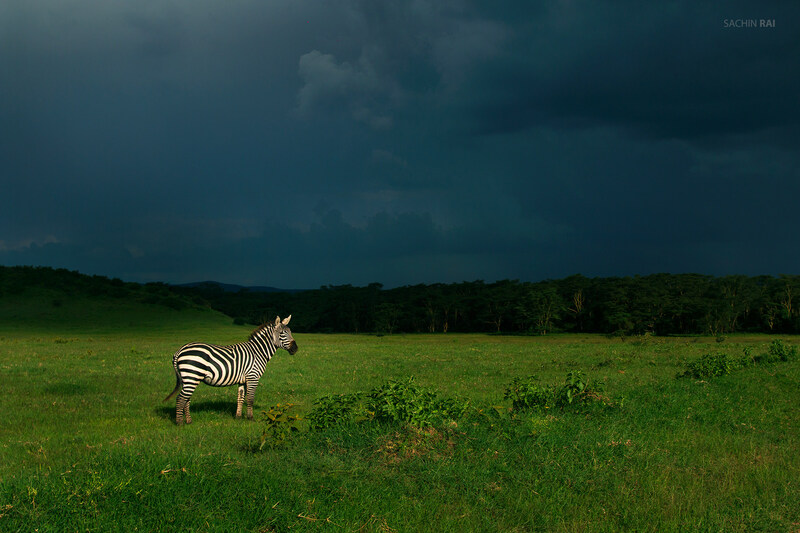 As clouds build up in the sky, this zebra stay still staring at some hyenas trotting towards him in Nakuru, Kenya.